The father and son ninjas finally have a release date. Naruto to Boruto: Shinobi Striker releases on PlayStation 4, Xbox one, and PC via Steam on August 31st. Furthermore, Bandai Namco revealed two new characters to the game: Gaara and Deidara. Two fan-favorite characters are officially joining the fray: Gaara, the 5th Kazekage, and Deidara, the artist of the Akatsuki. Gaara, a defense type, uses his Grand Sand Mausoleum attack to restrict opponents for a limited time, creating openings for his teammates. Deidara, a ranged type, uses his signature Explosive Style ninjutsu to turn his clay clones into deadly ticking time bombs. In addition to using Gaara, Deidara and other iconic characters from the series, players will also be able to personalize their own avatar with different costumes, weapons and accessories. Lastly, Bandai Namco described two modes that are available in Naruto to Boruto: Shinobi Striker: Flag Battles and Barrier Battles. FLAG BATTLES: Players can prove they have the stealth to be a shinobi by stealing the enemy’s flag while defending their own. The team with the most flag captures when time expires wins. 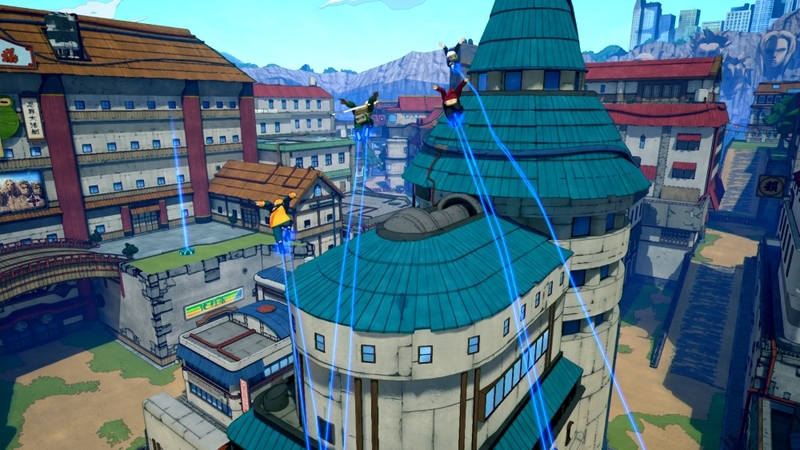 BARRIER BATTLES: Ninjas can prove their strategic mettle by simultaneously fighting for control of 3 “barrier areas.” Each level has unique terrain that players can use to their advantage, such as staging surprise attacks off of the buildings in the Hidden Rain Village. The team that controls the most areas at the end of the match wins.